WESTERN Australian live sheep exporter Emanuel Exports is maintaining the WA Government has no legal basis to investigate or intervene in live export matters, despite the company’s offices being raided yesterday. WA farmer body leaders said computers, mobile phones and records were removed in the raid on Emanuel’s Perth offices by state government officials. WA’s Agriculture Minister Alannah MacTiernan is investigating whether the WA Government can use state animal welfare laws to prosecute the exporter after more than 2400 sheep supplied by Emanuel Exports died on the Awassi Express en route to the Middle East in August last year. A statement from Emanuel director Nicholas Daws said the WA Court has previously confirmed that the role of setting and enforcing standards for the health and welfare of animals for live export is a matter exclusively for the Federal Government. “Emanuel will continue to cooperate with any validly issued warrant,” he said. No statement has been issued by Ms MacTiernan’s office about the Emanuel investigation, but Western Australian farmer bodies have questioned Ms MacTiernan’s judgment over the raid. 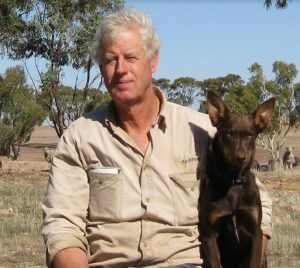 PGA president Tony Seabrook said computers, mobile phones and records vital to the safe conduct of live export voyages were removed. “Doesn’t Minister MacTiernan realise she is now actually facilitating poor animal welfare outcomes? Mr Seabrook said all Western Australians should be concerned by this abuse of power that appears to be orchestrated by a petulant state Minister. “It is our understanding that the minister has never spoken to or asked Emanuel Exports for copies of these documents. 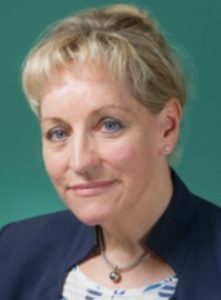 “Just because Minister MacTiernan can’t get her way with the Commonwealth Minister for Agriculture, is no reason to take it out on Emanuel Exports” said Mr Seabrook. “She has pursued this course of action, regardless of the implications to the industry she represents. “The WAFarmers Livestock Council unequivocally supports the continuation of live export trade and every effort will be made to ensure this can be done without compromising animal welfare,” he said. “The WAFarmers Livestock Council is becoming increasingly concerned with the actions of the Minister and her persistent attempt to undermine the agreed policies of the Federal Minister, particularly in relation to animal welfare matters. Mr Seabrook said it is clear the minister is not acting in the best interest for the agricultural industry in her determination to shut down the live export trade, and is doing everything in her power to inflame hostility to the live export industry. Sheep Central has contacted Ms MacTiernan’s office for comment. Australian Livestock Exporters Council chief executive officer Simon Westaway had no comment to make on the WA Government investigation. Perhaps Emanuel Exports didn’t have access to their computers, mobile phones and records on those five voyages between August 2017 and February this year, that were shown on Fazal Ullah’s footage. Is that what went wrong? Or on the last 27 voyages where more than 1000 sheep died per voyage. Someone give Emanuel Exports mobile phones and computers and all will be tip top animal welfare-wise. Anyhoooo… are the WA Nationals going to pull their heads in now that Minister MacTiernan’s attempts to suspend the trade by applying the WA Animal Welfare Act 2002, have been vindicated by the federal Department of Agriculture and Water Resources’ decision to suspend Emanuel Exports’ licence? The following is my opinion: the minister has required her department to enforce the animal welfare legislation. This is legislation the industry wanted removed from the Department of Local Government and placed with the Department of Agriculture in 2011. Why the Department of Agriculture? I think the hope was that little to no action would be taken to question what happens within that industry. So the comment by the WAFarmers Livestock Council that “She has pursued this course of action, regardless of the implications to the industry she represents,” suggests that now that we have a department that will enforce legislation and the council doesn’t like it. Spitting the dummy, as it were. I suggest the industry ensures they comply with all of the state legislations, supports the adoption and implementation of the standards and guidelines — which they supported as an industry as a whole back when the Land Transport Standards were written in 2008 — and stop the whinging. Nothing to worry about if you are doing nothing wrong. The current WA Govt is committed to enforcing WA state animal welfare legislation, which it seems is a far cry from the previous WA government. In my view, it is this simple: the Department of Agriculture as keeper of the Animal Welfare Act 2002 is investigating alleged cruelty, as they are supposed to do. It seems some don’t understand that animals in the live export chain still fall under the jurisdiction of the state animal welfare legislation. If they check ASEL, the live export regulations expect all responsible for animals in the live export chain to comply with state animal welfare legislation. If Emanuel Exports had cooperated with the enquiry, the raid would not have been necessary. The indication is that Emanuel Exports has a lot to hide. It is ironic that the government is accused of “…facilitating poor animal welfare (standards).” The live export industry has been doing exactly that for decades. It is only because of the courage of whistleblowers that the truth of this heinous industry has been exposed. Why do farmers not accept the inevitable that this live sheep trade can never be made humane and the Australian public is not prepared to tolerate it any longer. The fact that LSS has pulled out of the summer trade because its profits will fall if it cannot cram sheep on in the sort of densities that has led to some 9600 sheep on just three ships suffering and dying in catastrophic heat conditions, causing appalling suffering, speaks volumes about the industry. No wonder people compare it to the slave trade where an acceptable death rate still made the abominable trade viable. Well that sort of philosophy is not acceptable to me as a farmer. And tell me, why when 4179 sheep died on the Bader 111 in July/August 2013 did the industry continue to cram sheep on in the same densities, thus seeing 400- 700 and sometimes more than that, die on many routine ME summer voyages, and then over 5000 on just two voyages die, and die appallingly as we saw, from heat stress? Why did the industry not demand change in 2013, that would reduce densities to minimise loss, instead the ALEC protested against any changes. So don’t cry foul now, the industry has been caught yet again with its pants down, as it will with the long-haul live cattle trade which just lost a large number of cattle apparently from pneumonia on the way to China. That on top of 165 injured on way to Japan and 155 dead from pneumonia headed across the Pacific to Mexico, caught in rough seas, rain and wind. And what about the average 107 cattle dead on ships going to the Black Sea port of Novorossick? How long are we who are concerned about animal welfare expected to turn a blind eye to the appalling suffering of those cattle on long-haul voyages? So continue on industry as you are, but do not cry foul when we stand up to reveal the cruelty in those long-haul cattle voyages in social media, in the media and across the world. And in regard to the live sheep trade, if profits are not there unless the sheep are subjected to conditions that risk them cooking alive and dying buried in muck as we saw, then I make no apologies in standing out on the streets demanding an end to the trade.